Mondays – the beginning of the workweek – can be magical. When they’re not, it’s sometimes healthful to turn one’s thoughts to escapist getaways. For me, this takes the form of New Hampshire‘s White Mountains. Growing up in Lowell, Massachusetts, I spent a lot of summer days in the White Mountain communities of Conway, Jefferson, and Bartlett. I frequently visited the Old Man of the Mountain, the iconic stone profile that once stared out from the mountains over Franconia, New Hampshire. The towns of the White Mountains all offer interesting histories (as well as some great views) that I hope to cover in coming posts. I’m finding that the sepia and black-and-white photographs just don’t truly capture the beauty of the mountains. 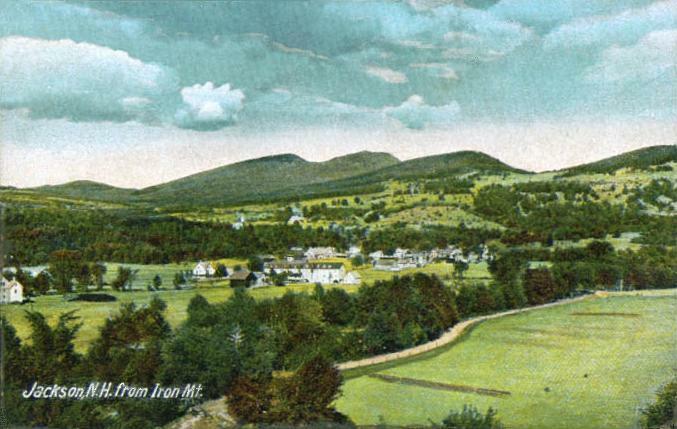 But, this postcard, from 1907, and in color, does just that. Can’t you just picture whiling away a Monday here?